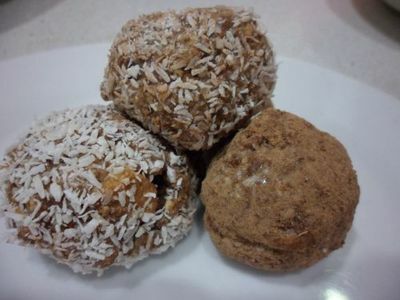 Chocolate and coconut truffles are a fun weekend treat to make with the whole family! With only four ingredients that can easily be thrown together, truffles are quick and easy and everyone can dive in to mix and roll! Place the biscuits into a clean plastic bag (an opened snap lock bag works well). Use a rolling pin to crush the biscuits into a fine crumbs. Remember to keep fingers clear during the crushing stage! 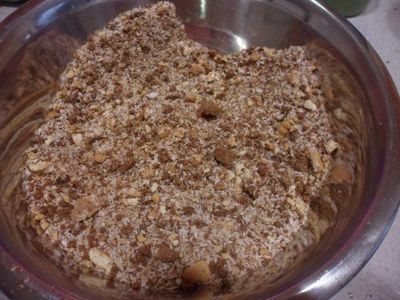 Transfer the crushed biscuits into a cooking bowl. Measure out the coconut and the cocoa, then add these to the crushed biscuits. 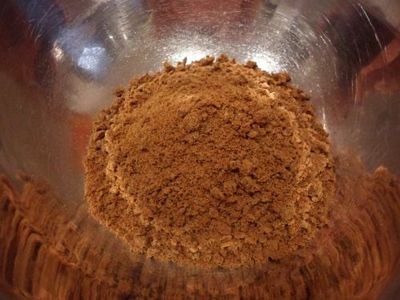 Use a wooden spoon to mix until the dry ingredients are well combined. 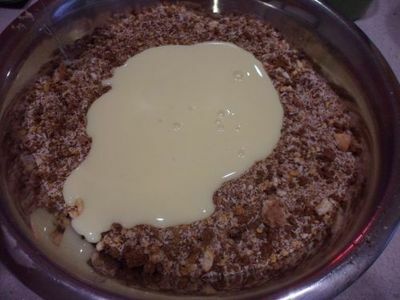 Make a well in the centre, ready for the condensed milk to load in. Pour the tin of condensed milk into the well. Use a spoon to mix the condensed milk through the dry ingredients. When the ingredients are combined to about halfway, lose the spoon and dive in with both (clean) hands to combine the mixture the rest of the way. 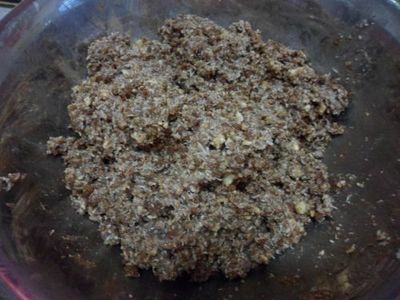 Use a kneading-like action to press the mixture down, gather straggler bits of dried ingredients, then combine them into the mixture. Use your hands to pluck out teaspoon-sized plots of the mixture and roll lightly into balls. 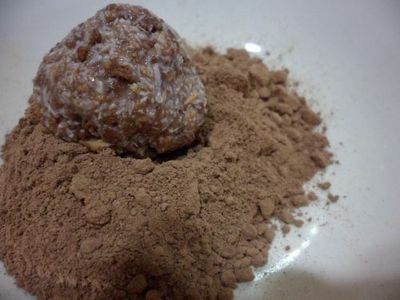 Place the additional cocoa in a separate bowl, and the additional coconut in another bowl. 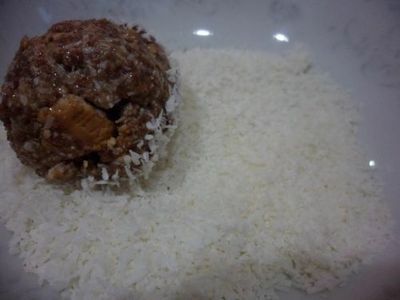 Place each made ball into either cocoa or coconut, then roll the ball around to coat it in either. Transfer each completed truffle to a plate or airtight container. Allow the truffles to cool in the refrigerator for 10-20 minutes. This will set them and help them hold together in their round shapes! Remove from the refrigerator and devour!